A greater return from property than corporate life in Teesside. That was the goal for Agnes and Jonathan Goodall, the first Platinum Property Partners investing in Teesside. Following a ten-year career break to bring up the couple’s two children, Agnes was now eager to get back to work. That was the goal for Agnes and Jonathan Goodall, the first Platinum Property Partners investing in Teesside. Following a ten-year career break to bring up the couple’s two children, Agnes was now eager to get back to work. But, after 18 months working part time in corporate finance, she realised it wasn’t what she wanted to do. It just wasn’t flexible enough. Jonathan, who has been working back in the family warehousing and retail business for 11 years, after running a successful photography studio in London, suggested they go to a franchise exhibition. It was enough to encourage the couple to talk to the team on the stand, and already having an interest in property and wowed by the HMO (Houses in Multiple Occupation) concept, they booked onto a Discovery Day the same month. However, their main concern was whether the model would work in Teesside. 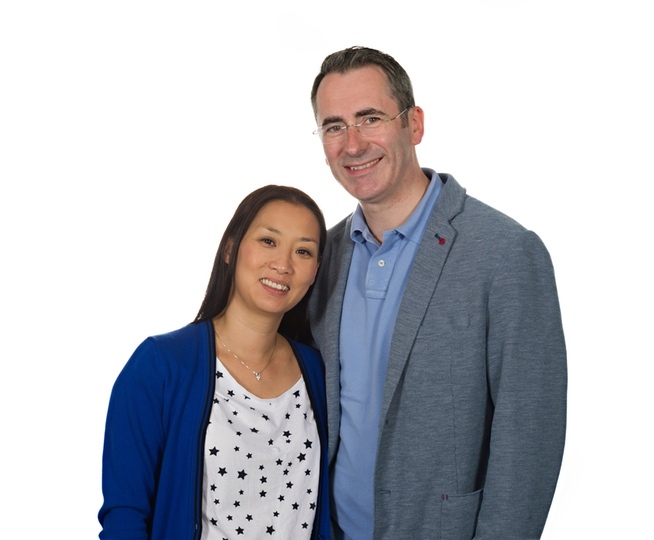 Working closely with the team at the Platinum Head Office and speaking to nearby franchise partners in Newcastle and Warrington, Agnes and Jonathan were convinced they could build a profitable portfolio in their area. The only other reservation they had was the franchise fee. Jonathan added: “We had the capital to do it ourselves, even if we ended up paying the price for a few mistakes. But we thought, why go through the pain of trying to learn it yourself when you have people who can teach you not just how to do it, but how to do it right? "We were also conscious of the pressure doing it on our own would put on us as a couple. Joining PPP would mean there’d always be information or someone available to help & support us." They concluded that the fee was a positive thing and represented a barrier to entry that highlighted how difficult it would be to build a portfolio on your own. The couple joined in March 2017. Their first property completed refurbishment at the end of January. What was originally a 4-bedroom semi-detached house is now a 6-bedroom HMO with four ensuites and one shared bathroom. The plan for the next five years is to build a portfolio of five HMOs generating a combined £70,000 annual gross profit. Jonathan added: “Being part of a franchise, the burden is still yours. But with Platinum, all the benefits are yours too”. For Agnes, she has finally found the flexibility and enjoyment she was craving. It’s been fantastic, everything from the mentoring to the bootcamp, Foundation Lettings Course & Workshops have been brilliant. There’s a lot of information to absorb but it’s been a fun rollercoaster ride.